Echo Business Manager Marshall Jones and I went to the Oklahoma state fair to try out the weird and wonderful culinary delights that only the fair can offer. 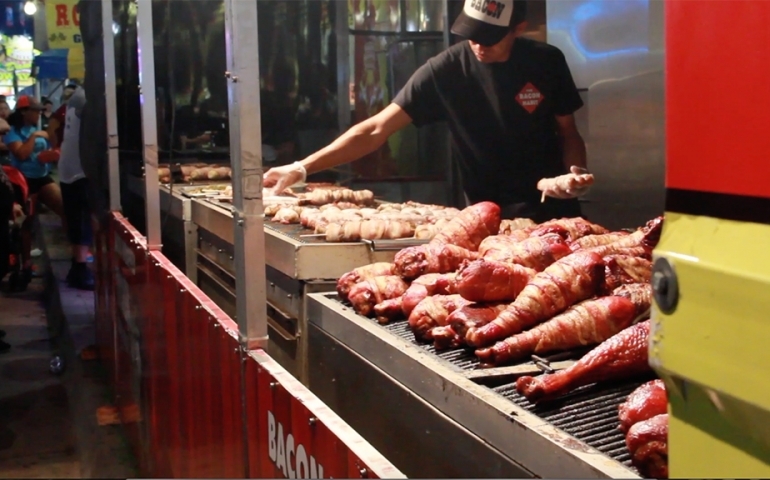 In this “ECHO staff reviews,” Marshall takes on the cheesy bacon bombs, a deep fried snickers, the unique fair lemonade, and, the ever so crucial, turkey leg. Interestingly enough while reviewing the lemonade, Marshall was caught off guard by a woman who happened to be the owner of the stand. He was asked to explain why he did not give the drink a 10/10 review. Long story short, we made a new friend and enjoyed some classic fair foods.